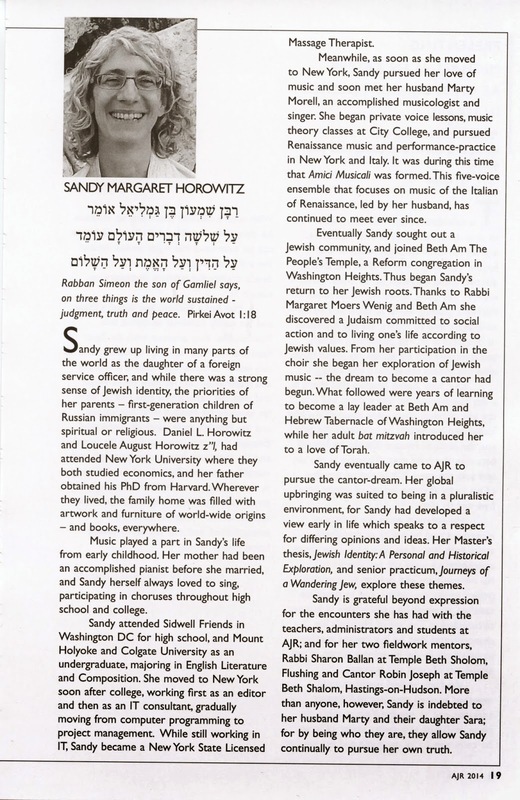 On May 16, the Jewish Standard published an opinion piece by Congregation Adas Emuno President Lance Strate, entitled Advertisements for Ourselves, with the subtitle, "Jews in Mad Men and Beyond." 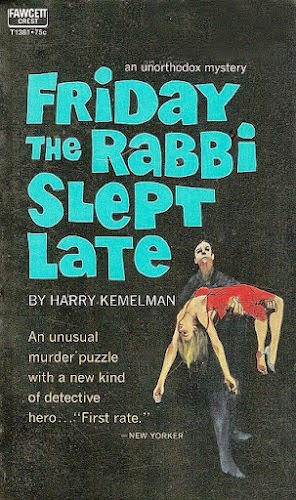 The topic was Jewish stereotypes on television, and as the subtitle indicates, the jumping off point was the recently aired first half of the final season of the awarding-winning AMC cable television series, Mad Men, a show that centers around a New York City advertising firm during the 1960s. The AMC series created by Jewish writer, producer, and director Matthew Weiner has returned for its final season, having taken us through that most transformative of decades, the 1960s. And while the main character, Don Draper, isn’t Jewish, there is something hauntingly familiar about the story of a man who adopts a different name and identity to hide his true background, and then works his way up from poverty to a comfortable middle-class existence. Reflecting the experience common to all European immigrants during the first half of the 20th century, Draper personifies the belief that in America it is possible to shape and fashion your own individual identity, to recreate yourself in your own desired image. In some ways he seems to echo the Jewish-American novelist Norman Mailer, who was known for his media savvy and penchant for self-promotion. In fact, he called his 1959 anthology of short pieces Advertisements for Myself. The message of commercial advertising, taken as a whole, is that we can become whoever and whatever we want to be simply by buying the right products. And the title of the series is a pun based on the fact that New York City-based advertising firms all used to be located on Madison Avenue. Much like Hollywood, it was an industry in which Jews were quite prominent. In fact, Thomas Cahill included advertising in his celebratory book, The Gifts of the Jews, a remark that generated some criticism among reviewers. But Mad Men avoids this association. Draper and his partners are WASPs, and it’s not until season five that they hire a Jewish copywriter, Michael Ginsberg. Much like the famous beat poet Allen Ginsberg, Michael is quite talented and creative, although his gifts are not given the respect that they deserve by Draper and his partners. There even are instances where he is used simply as a token Jew—for example in an attempt to secure an account from Manischewitz. Still, the character is given a compelling background—he was born in a concentration camp. 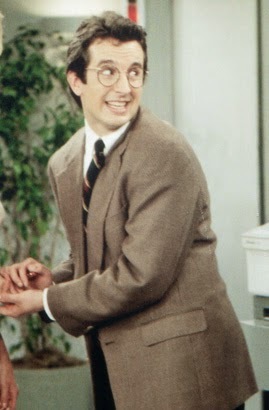 And like Draper, Ginsberg tries to disguise his origins. 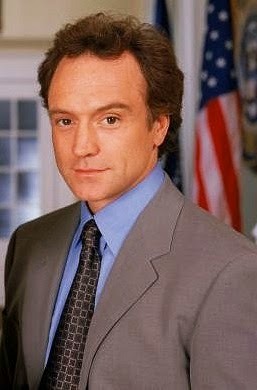 His ethnicity, however, makes it impossible for him to construct an entirely new identity as Draper did. In the most recent episode, “The Runaways,” Ginsberg again parallels Draper in suffering a nervous breakdown, but in much more extreme fashion. He succumbs to paranoid delusions and engages in self-mutilation; the catalyst for his action was the agency’s addition of a mainframe computer. The episode includes an homage to the scene in 2001: A Space Odyssey, where the homicidal computer HAL reads the lips of the two astronauts he is supposed to be aiding, thereby learning of their decision to shut him down. 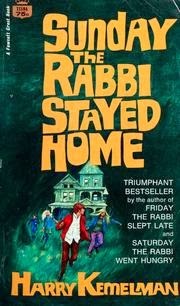 Presumably Ginsberg had recently seen this movie, which was released on New Year’s Day 1968. It is worth noting that 2001 is considered one of the greatest films ever made, and its director, Stanley Kubrick, one of the most important film directors of all time. 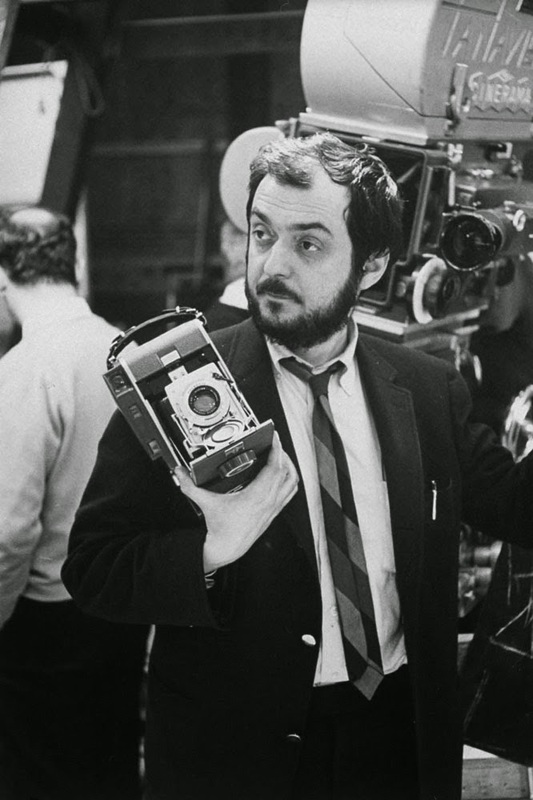 Kubrick was one of many prominent Jewish-Americans who grew up in the Bronx during the early and mid-20th century, and the strong distrust of authority evident in his films would have struck a resonant chord with any child of the Holocaust. Moreover, the Nazis, being meticulous record keepers, were quite fond of the technological forerunner of the computer, tabulating machines of the sort produced by IBM, the company that became the pre-eminent computer manufacturer of the postwar era. (It often has been noted that moving each letter of IBM back one step in the alphabet yields HAL, the name of the computer). 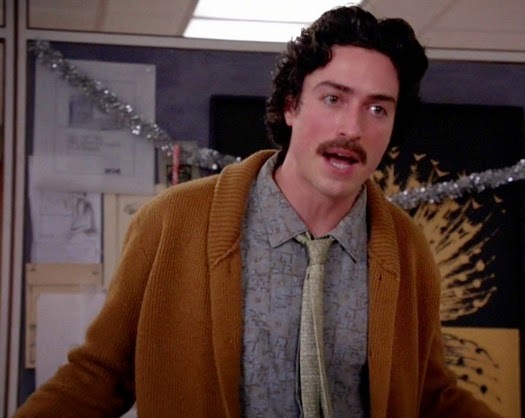 While Michael Ginsberg is a minor character on Mad Men, he remains a major example of Jewish stereotypes. He is clever and funny, but also awkward and often inappropriate in social situations, and otherwise nervous and neurotic. (In his case, his neurosis intensified into psychosis.) It was probably the influence of all of those immensely popular Woody Allen movies of the ‘60s, but for a long time it seemed as if any Jewish-American male character who appeared on a TV sitcom or dramatic series was cut from the same cloth: whiny, nervous, short, unattractive, not handy or athletic, smart and intellectual, but not exactly leadership material. 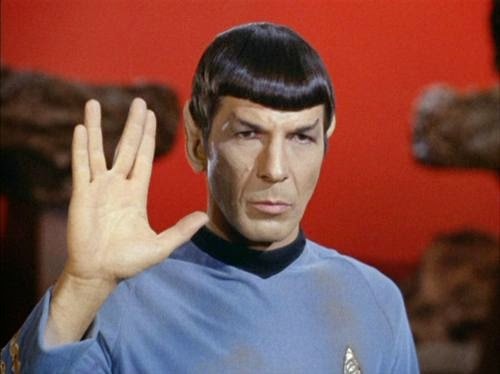 After all, William Shatner and Leonard Nimoy may have been Jewish, but Captain James Tiberius Kirk was just another WASP, and his first officer, Mr. Spock, was an alien from the planet Vulcan—albeit one who incorporated some Jewish influences. While the Enterprise was populated with a veritable melting pot of crew members, there never seemed to be a Shapiro or Levine out there on the final frontier. 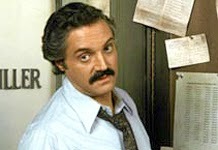 Of course there have been exceptions, like Gabe Kotter on Welcome Back, Kotter, Barney Miller on Barney Miller, Jerry Seinfeld on Seinfeld, and Josh Lyman on The West Wing, but these characters’ ethnicity—and especially their religion—was rarely mentioned or acknowledged. 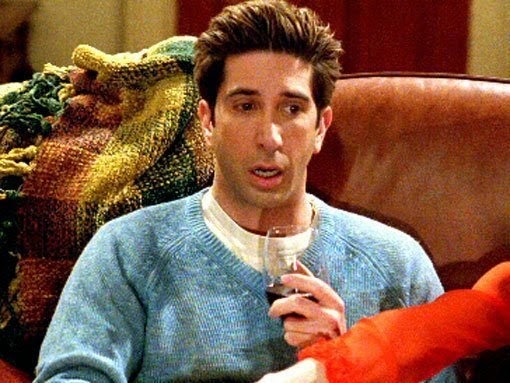 At the same time, the Jewish identities of stereotypical characters, such as Miles Silverberg on Murphy Brown, Joel Fleischman on Northern Exposure, and Ross Geller on Friends, were continually on display, and very much an integral part of their characters. 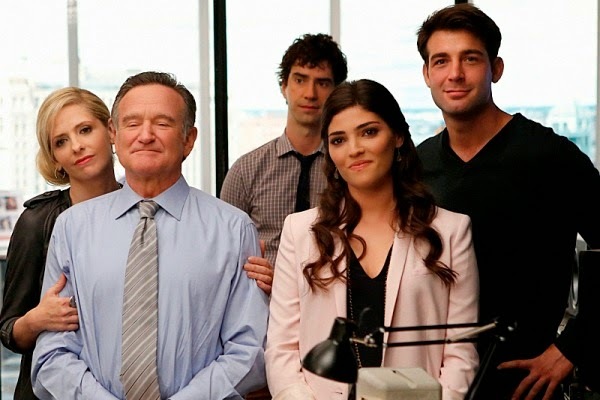 This fall, a new sitcom was introduced, a vehicle for Robin Williams, called The Crazy Ones. 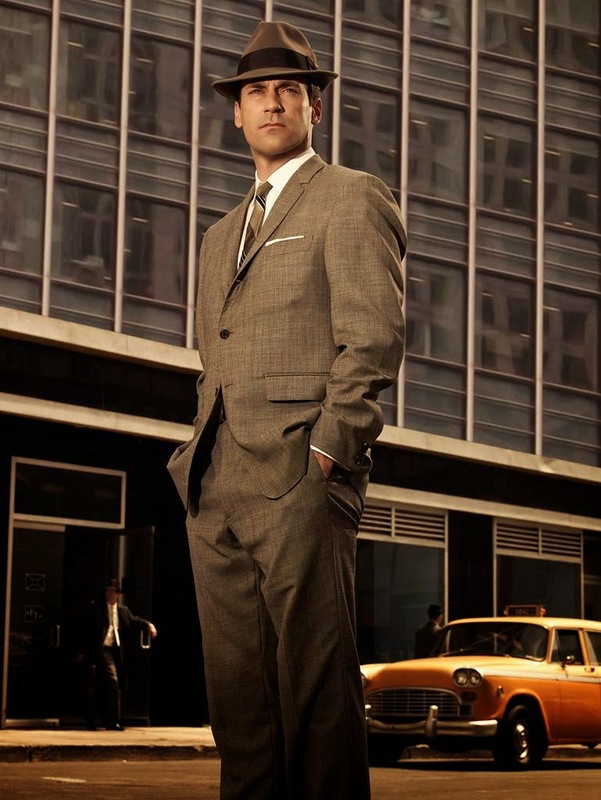 Clearly inspired by Mad Men, the series is set in a Chicago-based advertising firm and features several Jewish actors, including Sarah Michelle Gellar (of Buffy the Vampire Slayer fame), Amanda Setton, Brad Garrett, and James Wolk. 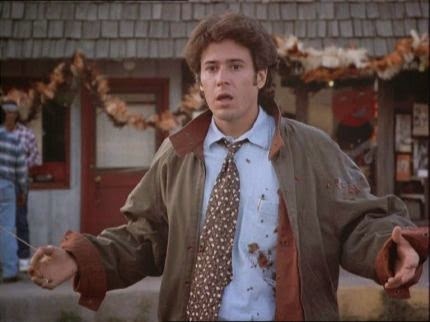 What is remarkable about Wolk’s character, a copy writer named Zach Cropper, is that he is extremely confident, likeable (he is the favorite of the agency head, Robin Williams’ character Simon Roberts), handsome (he is a veritable ladies’ man), and maybe a little bit shallow, although certainly a talented and innovative professional. And he is Jewish. In fact, in an episode called “Zach Mitzvah,” it turns out that he once was a very successful bar mitzvah DJ, and he reprises that role in order to please a client. Not only does the Cropper character counter the typical stereotype of the Jewish male, but another character, art director Andrew Keanelly, embodies many of those stereotypical attributes. He is intelligent—but also insecure, awkward, and jealous of the favor shown to Zach. 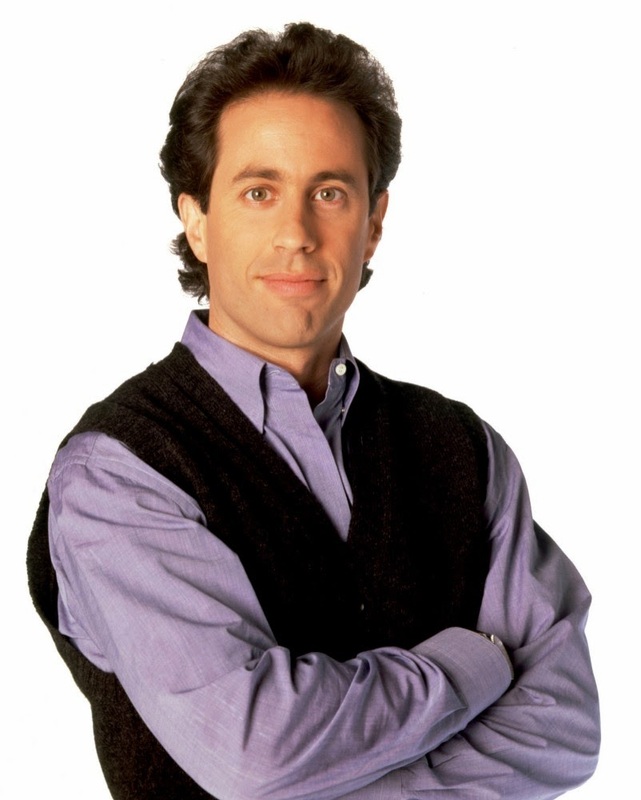 You might expect his character to be Jewish—but he is identified as not Jewish. For this reason, I believe that The Crazy Ones merits our respect and recognition. Unfortunately, however, the series failed to catch on with television audiences and garner the kinds of ratings its creators had hoped for, and so CBS has cancelled it. And truth be told, it’s no Mad Men. But as far as Jewish characters go, Zach Cropper has been altogether refreshing. Series creator David E. Kelley has a track record of creating interesting and unique Jewish characters in programs such as Picket Fences, Chicago Hope, The Practice, Boston Public, and now The Crazy Ones. For that he deserves our kudos. And that is where the column ends. As an opinion piece, it is meant to provoke further thought and discussion on the topic, not to close it off. It is certainly the case that stereotypes are a tricky subject, and as a progressive congregation, we are concerned with negative portrayals not only of our own religion and ethnic group, but of all others as well. Last week, the Presbyterian Church voted by a very narrow margin in favor of divesting their organization of investments in three American companies, as part of a protest against Israel and as a show of support for the Palestinians. For the most part, Jewish organizations and communities are pained by this decision, and in light of this development, we would like to share with you some of the responses from Jewish leaders. As many of you are aware, the BDS movement saw a victory at the biennial convention of the Presbyterian Church this past week. While the vote was close, we were all saddened by its outcome and by certain groups and activists who saw it their mission to persuade the Church officials to take this most unhelpful action regarding Israel. We realize that there were many who voted against the decision to divest from three companies with who are active in Israel, and for that we are grateful. We encourage our congregations to continue their critical relationships with Presbyterian churches and leaders and to help them understand that these actions and resolutions are harmful to us and everything we stand for. Anger. Sadness. Disappointment. Even disgust. Those are the emotions that have accompanied the recent resolution of the Presbyterian Church USA to divest from the three companies–Motorola, Caterpillar, and HP–that the church deems to be complicit in the occupation of the West Bank. With this close vote, PCUSA essentially, though perhaps unwittingly, threw its lot in with the global BDS movement, thus chipping away at its relationship with the Jewish people and the state of Israel. Even more disturbing was the “soft” anti-Semitism that accompanied the discussions: the call of one pastor, Reverend Larry Grimm of Colorado, to the Jews of Israel to leave Israel and migrate to “the real promised land, America.” In the middle of a morning devotional, Virginia Sheets, vice moderator of the Middle East issues committee, suggested that Jesus wasn’t afraid to tell the Jews when they were wrong. (Yes, Virginia, there is such a thing as theological anti-Semitism…) (And, let the record note, that this was reported by a dismayed Presbyterian blogger). And, of course, there is the specter of “Zionism Unsettled,” a study document on Israel and Palestine that is scandalous in its inaccuracies and blatant anti-Israel and anti-Zionist bigotry. Read this rejoinder by one of the greatest Presbyterian menschen I know, Chris Leighton, and be inspired. “And yet, our conversations about Israel and the hoped-for state of Palestine are lacking in grace, So, too, we have violated he words of Sinai; not to follow the multitude to do evil; not to spread gossip and calumny (which we, in our connection to “Zionism Unsettled” have done to the Jewish state); and yes, not to bear false witness. For, in fact, we stand guilty of bearing false witness against the Jewish people and the land of Israel. “So, too, we are not walking in faith with our Jewish friends and partners across the world who, like us, are vexed over the situation in Israel and the future Palestine. Like us–even more than us–many of them long for a two state solution to what they call ha-matzav–the situation. They see a two state solution as the only way that Zionism itself might be redeemed, the only way that, in the words of Hatikvah, the national anthem of the Jewish people, they might be a free people in their land. “And, as we should be, they are utterly lacking in any illusions about the security risks that are intendant upon such a two state solution. In that spirit, might we allot for ourselves a moment of humility and uplift, and offer a prayer for the safe return of the three boys who were recently kidnapped? 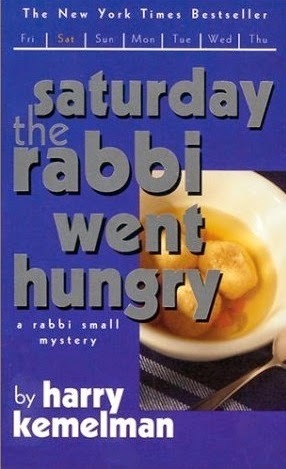 “In short, we have forgotten the Hasidic story–of the rabbi who asks his good friend, “Do you love me?” and the friend responds by saying: “Of course I love you.” To which the rabbi responds: “Do you know what gives me pain?” To which the friend replies: “How can I know what gives you pain?” To which the rabbi replies: “If you don’t know what gives me pain, how can you say that you love me?” “We have born witness, to all that which gives the Palestinians pain: the frustration of statelessness; home demolitions; check points; the daily indignities of the occupation. I am not saying that we should back off from that. “And yet, if we don’t know what gives our Jewish brothers and sisters pain, how can we say that we love them? Or do we only love them when we partner with them in building homes for the urban poor? When we work with them on GLBT rights and the right to marry? Or is our love exhausted by the pious, polite nod to each other on the eve of Thanksgiving, when so many of our communities gather together for shared worship? “In short, we have been blind and deaf to this: that the State of Israel is the greatest Jewish project of modernity. That the State of Israel is the greatest flowering of the religious spirit in the past century. "That the Shoah was the Good Friday of Jewish history, and the re-birth of the Jewish people in its land was, if you will, Easter. “No, their Easter has not returned them to Eden. Far from it. How we wish that Israel did things better, more elegantly, in a more sainted manner! And we have excelled in telling them that. “But: can we not say the same thing about the Palestinians? Or any nation, created of human hands? Or our own deeply flawed and ever striving nation, in whose history we as a church are bound up? “More than this, my brothers and sisters: in putting forth this resolution, we are now faced with something far worse. “David Duke has endorsed our proposal. David Duke! “This, and this alone, should give us pause! How will we, on Monday morning, be able to turn to our Jewish friends, partners and neighbors, and look them in the eyes, and say: yes, our imagined moral purity on the question of Palestine forced us to at least temporarily join forces with one of America’s greatest bigots? How will we turn to our African-American friends and members and say: yes, we held common cause, for at least a few moments, with one of the most infamous leaders of the Ku Klux Klan? “I will end with a tale that I heard from Elie Wiesel. A righteous man came to Sodom and pleaded with the people to change their ways. No one listened. Finally, he sat in the middle of the city and simply screamed. Someone asked him, ‘Do you think that will change anyone? But we did not hear that speech. And we join together with people of faith and good will everywhere in praying for an end to hostility and conflict, both abroad and at home. Please join us on Wednesday evening, June 11, at 7 PM for Poetry in the Garden. You can come just to listen, or to take turns reading poems. Bring your favorite works by Jewish poets, your own original poems, or any other poems you would like to read. And we will also feature the poetry of the late Maya Angelou. We will meet in the garden next to the Adas Emuno religious school, weather permitting (Rabbi Schwartz advises that you may want to use some bug spray). In the event of inclement weather, we will meet in the religious school building. Poetry in the Garden is free and open to the public. And with that we'll just reiterate, Congratulations Cantor Horowitz, and we look forward to you joining us next month! 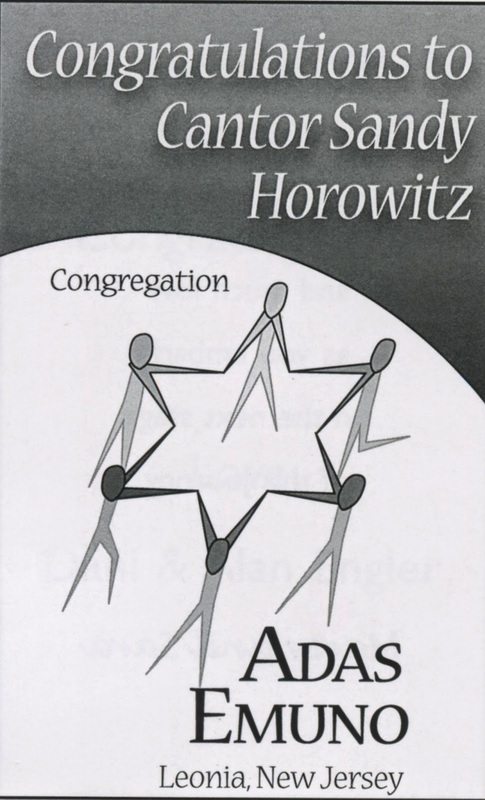 The Festival of Shavuot begins on the evening of Tuesday, June 3rd, and Congregation Adas Emuno will be joining together with Temple Emeth of Teaneck and Temple Sinai of Tenafly in a collaborative service hosted by Temple Sinai, at 10:30 AM on Wednesday, June 4th. 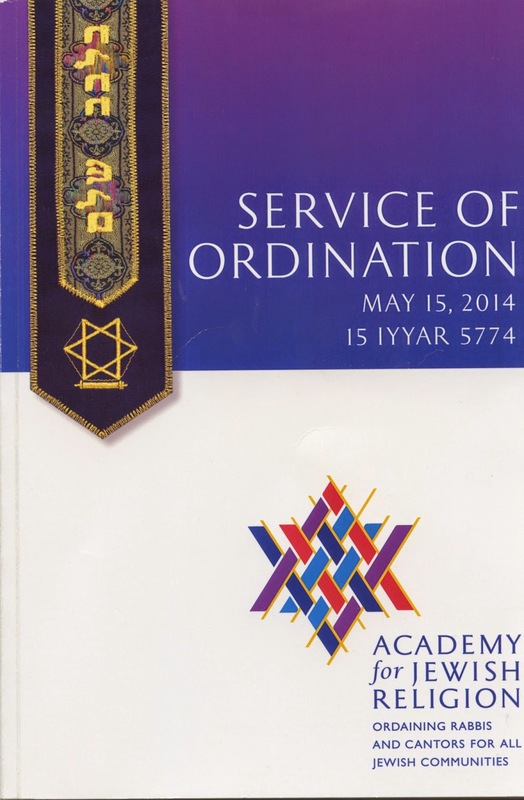 And be sure to join us on Friday night, June 6th, as we celebrate Shavuot on Shabbat with this year's Confirmation class. Ping pong is what you play in the basement. It’s table tennis when you bring it upstairs. That’s what you call it “when you’re serious,” says Sol Epstein of Englewood Cliffs, head of the Leonia Table Tennis Club. Mr. Epstein figures that he’s probably among the top 15 players in the group, which has more than 100 members. That’s pretty good for a man who’s about to turn 90. “I’ve been playing since my bar mitzvah,” said Mr. Epstein, who grew up on Norfolk Street on New York’s Lower East Side. 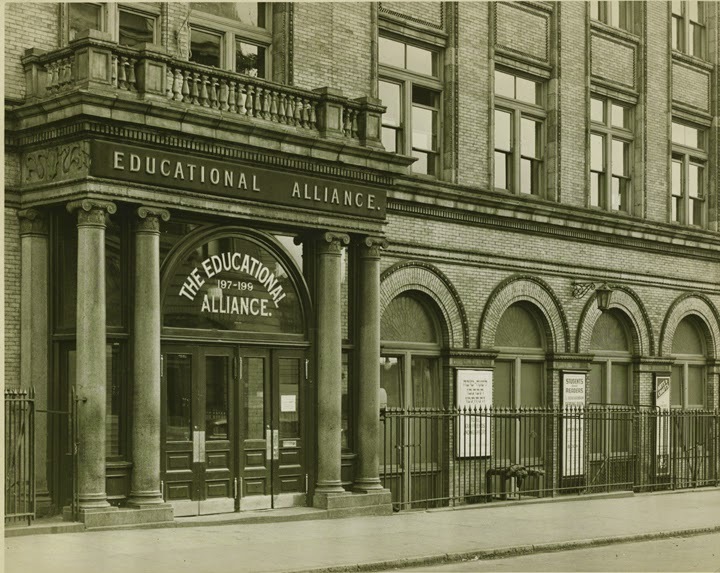 “It was a Jewish neighborhood,” he said, noting that he honed his skills at the Jewish settlement house on Stanton Street, challenging not only other locals but players from other Jewish venues, such as the Educational Alliance and the Henry Street settlement house. 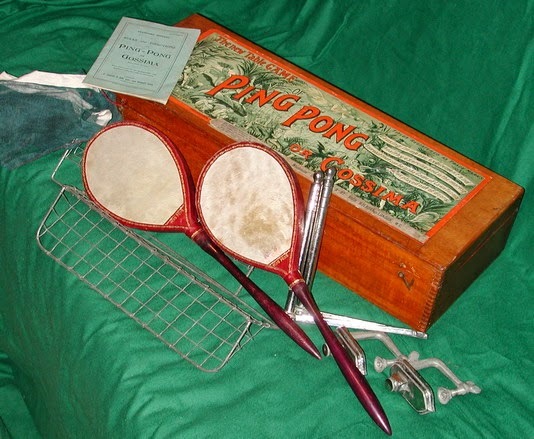 It is clear from Mr. Epstein’s many stories that table tennis is no laughing matter. It it also clear that both the nature of the game and the equipment it demands have changed over the years. A 1902 postcard in Mr. Epstein’s voluminous collection of ping-pong-related items shows a man and woman — he in tails, she gowned — playing the game at the Waldorf Astoria. Their paddles — similar to a vintage set Mr. Epstein owns — are covered over with sheepskin, and the balls they used are smaller than today’s. According to Mr. Epstein, the balls were enlarged to make the sport is easier to follow on television. Leonia’s is not the only table tennis club in Bergen County. Fair Lawn has had one for many years, and Mr. Epstein, who used to live there, won a trophy there in the 1960s. 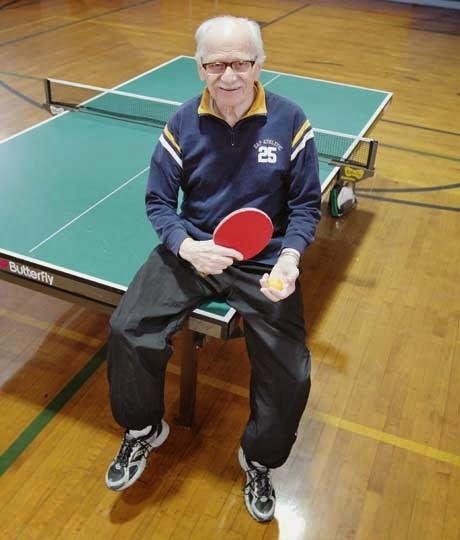 Some 25 years ago, he helped former Leonia athletic director and table tennis player Eli Krackower create the club in Leonia. Now, the 12 tables at the Leonia Recreation Center host 75 to 80 men and women every Wednesday night, and 50 to 60 players on Saturday mornings. While the players’ ages range widely, no one is under 18. Not surprising, Mr. Epstein is the club’s oldest member. What is surprising is his vitality, trim build, and exuberant personality. This he attributes to playing twice a week for two hours — a practice that also burns off two pounds every Wednesday and Saturday. 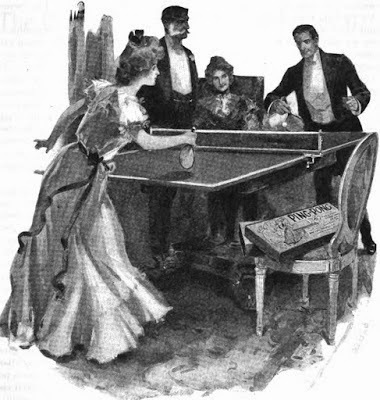 The games played at the club are both athletic and competitive, Mr. Epstein said, although everyone has his or her own style of play. And while the group now has a waiting list, casual players who always thought they were “pretty good” at basement ping pong soon find out what it means to play a serious game. The Leonia team is a lot like the United Nations, he said, noting that players hail from — among other places — Russia, China, Peru, South Korea, India, Japan, and the Philippines. One regular, Rey Domingo, has been U.S champion among table tennis players over 40. 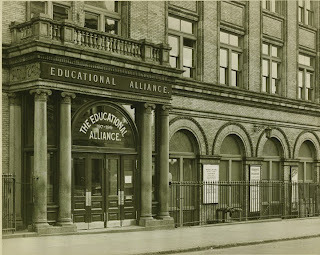 Like Mr. Epstein, Mr. Reisman honed his skills on the Lower East Side. In addition, he became the oldest player to win an open national competition in a racket sport by winning the 1997 United States National Hardbat Championship when he was 67. For Mr. Epstein’s 85th birthday, the Leonia club brought Mr. Reisman to play against him. “I won one game, although I don’t know if he was just being nice,” Mr. Epstein said. 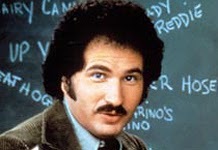 Mr. Epstein has as many war stories as he has tales of table tennis games won and lost. For example, he said, after climbing into a bed in a German tenement — which, he noted, resembled the tenements he remembered from the Lower East Side — he caught German measles. Yes, he smiled, German measles in Germany. He also recalled the time he recoiled from a particular meal and advised his fellow soldiers not to eat it. As it happened, those who did came down with dysentery. Still, most of his stories revolve around table tennis, and after his wife, Molly, the sport is the great passion of his life. 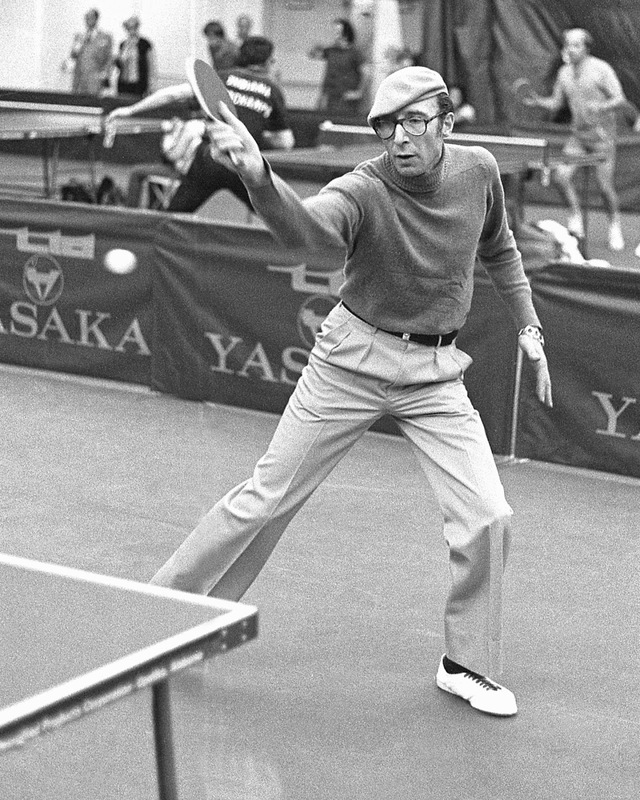 Sol Epstein, about to turn 90, never leaves home without his ping pong paddle. The veteran player, whose prowess has been profiled on NBC’s “Today Show,” among other places, said he took up the game because “I had an overprotective Jewish mother. She said I should pick a sport where if you get hit by the ball, it shouldn’t hurt. So I picked table tennis. It’s the greatest thing in the world. Barry Schwartz, rabbi of Congregation Adas Emuno in Leonia — whom Epstein describes as an “excellent” player — says he has been playing avidly for 30 years. Rabbi Schwartz joked that his regular Wednesday night games “help keep me sane. “They enable me and others to venture out from our circle and the little world we inhabit to interact with people from all walks of life, and from all over the world,” he said. Rabbi Schwartz said that when he goes to the recreation center, he particularly enjoys chatting with other players. He has become friendly not only with Mr. Epstein but with a number of Russian players. Rabbi Schwartz said that another player, a Chinese woman, has a daughter who attends Duke University. When he told her that he too had gone to Duke, they started to talk. “She works in the food service business and is employed by a kosher caterer,” he said. “That was an interesting connection. 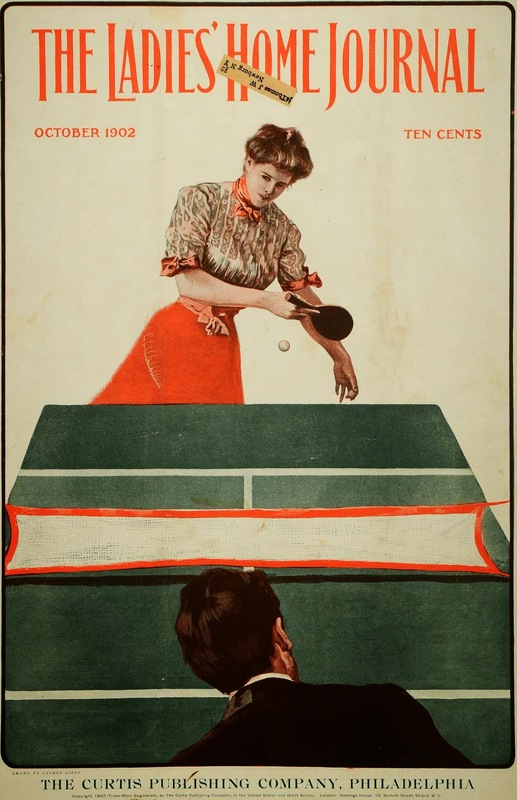 Rabbi Schwartz said that ping pong — one of the most popular sports in the world in terms of active players — was introduced as an Olympic sport about 20 years ago. His fellow players in Leonia belonged to clubs in their own countries, he added, noting that in Europe, “there are table tennis clubs in every city and major town.” He likened its popularity to that of bowling in the United States, when the sport was in its heyday. “All over the world it’s taken much more seriously as an organized league sport. We’re playing catch-up, just like with soccer. “The beauty of table tennis is that you can continue to play at a high level at an advanced age,” he continued. And you can find pick-up games all over the world. Suddenly, he said, he heard a familiar sound. Turning the corner, he looked up. “On the side of the mountain, teenagers were playing ping pong. I told the guide we had to stop. “I unloaded my backpack and played with the Nepalese teens for 20 minutes at an altitude of 14,000 feet. It’s the highest I ever played tennis. “They started laughing. They thought I was just some tourist.” As might be expected, the rabbi won the game. While Rabbi Schwartz does not have an official table tennis ranking — he never has played in a sanctioned tournament because they take place on Shabbat — he believes his approximate ranking would be about 1,700. “Really advanced players start at 2,000, and world champions range from 2,600 to 2,800,” he said. “I’m a respectable player, but not top tier. The average person has a ranking of 900 to 1,000.” He said that at the Leonia club, there are only a handful of players ranked over 2,000. He noted that on any given table tennis night in Leonia the tables are filled, with five to 10 people waiting. And that brings us to the end of the article. So, the next time someone asks you if ping pong is kosher, you'll know that the answer is yes!